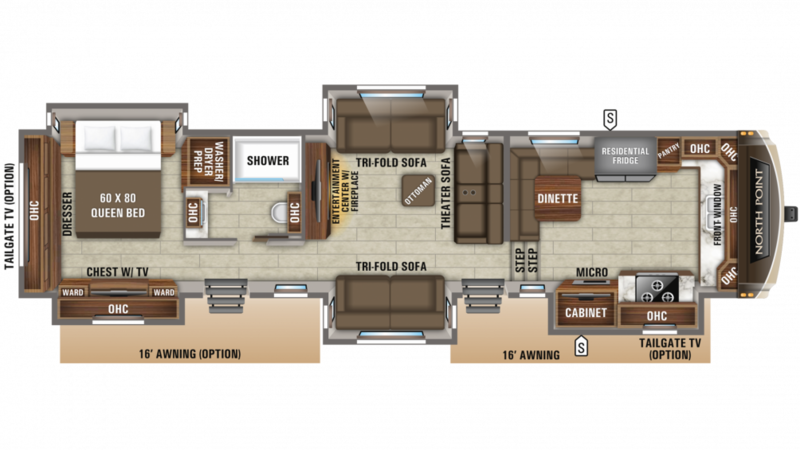 Travel the country with this New 2019 Jayco North Point 383FKWS! At TerryTown RV, we have a massive selection of 5th Wheel RVs, making us one of the top Michigan RV dealerships! 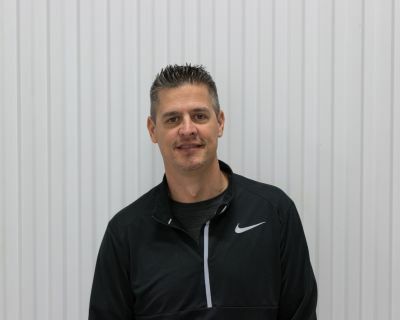 Stop on by 7145 Division Ave S Grand Rapids Michigan 49548 or call us at 616-455-5590 to learn more from one of our RV experts! 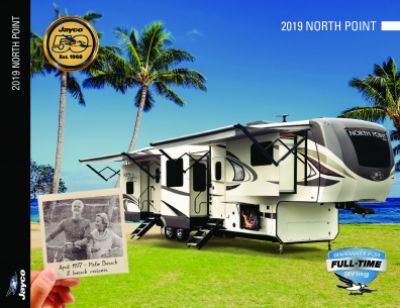 The 2019 Jayco North Point 383FKWS is built for easy handling on the road! It's 43' 5" long, 8' 0" wide, with a hitch weight of 2960 lbs. The 16' 0" patio awning provides shade and comfort for outdoor living. And with a rugged GVWR of 16500 lbs, this rig will give your family years of fun on the road! When you're on your vacation, spending long fun-filled days in the sun, sometimes you don't want to spend the time or put up with the hassle of cooking over a campfire. No worries in the 2019 Jayco North Point 383FKWS. You'll cook up hot, delicious meals for the family on the 3 burner cooktop that's standard in this 5th Wheel! Keep your fresh food fresh in the 21.00 cu. ft. refrigerator! Clean up's a breeze, too, thanks to the 75 gallon freshwater tank that'll give you lots of water for doing the dishes and still leave plenty of clean, fresh water for drinking! The beautiful bathroom in this RV means no more treks through the campground in the rain, or the cold, or the dark to the messy, damp, and chilly public bathrooms! You'll enjoy the convenience, comfort, and privacy of your own modern shower, handsome sink vanity, and sleek, sanitary Porcelain Foot Flush commode! The 37 gallon gray water tank and 37 gallon black water tank store all the used water and waste, so you don't have to deal with it while you're having fun on vacation!